Students at High Tech High want to preserve their unique culture and student-focused methods. Passionate about civic education and youth activation. Big fan of iced coffee and Broadway. On every Student Voice tour stop, during the workshop portion of the visit, I ask “if you were building your ideal school, what would it look like?” Students provide a vast array of answers, usually stemming from areas of improvement they feel are needed in their school. At most schools this is a theoretical question, but at High Tech High Mesa in San Diego, the students are literally constructing their school from the ground up. When I asked this question, it was not theoretical. Designing their school is a real responsibility given to them every day. High Tech High Mesa is part of the High Tech High system. What started as a small public charter in 2000 has grown into a network of 14 innovative schools serving over 5,000 students. 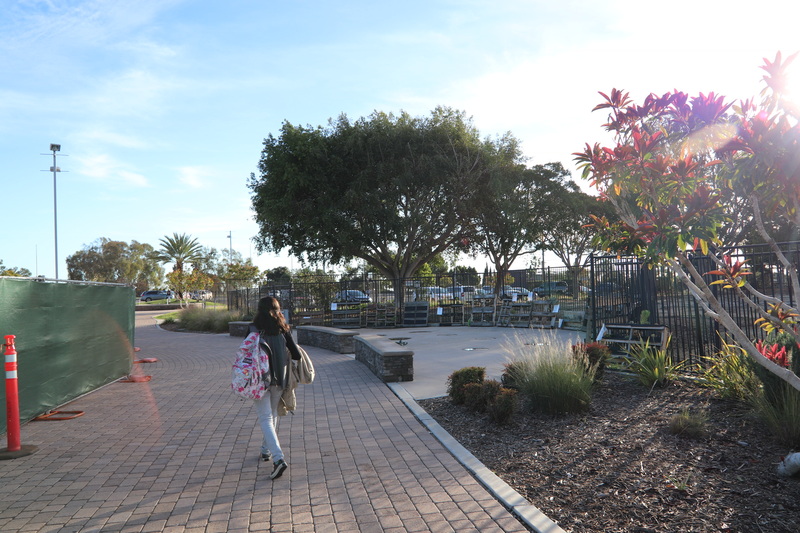 The Mesa campus is in its first year; the only students are 9th graders. In the early afternoon, I met with four student leaders— Andrew, Myra, Sirenity, and Sophia-- who clearly love their school. Having grown up in the HTH system, they know what meaningful, project based education looks and feels like. For instance, they recalled every step it takes to grow glow-in-the-dark mold, a science project they did more than three years ago. From the beginning of our roundtable, it was clear that these students love their school. They are school ambassadors, tour guides, robotics team members, high performing students, and student leaders. When presented with the opportunity to stay after school and come back to campus on the weekend to facilitate information sessions for prospective students, they quickly volunteered. They don’t love their schools because they love listening to lectures and taking tests. They love it because they’ve been given the authentic opportunity to create their own community and education. They want their classmates to feel as invested in the school as they are; they, with their Director, Brett, want to build a school culture and community where student voice is as institutional and present as recess, football teams, and professional development days. Through conversations about school climate, storytelling, and social media, these students got to work. We discussed the power that social media can have in community building. Throughout our day together, students looked ahead at what they want HTH Mesa to be like by the time they graduate. At HTH, like so many other student groups across the country, students are questioning the status quo and rethinking education. Students at HTH may not check their school emails as regularly as these student leaders may have wished, but why send emails when you can post on Snapchat, a platform that every HTH student uses? Why send out Google Form surveys to get student feedback when you could use an Instagram story poll to get more responses? Why ban technology in school when it could be used as a tool to create deeper learning? Why limit student voice to planning dances and prom when two groups could be created: one to plan student activities and another to advise and create policies? The foundation of HTH Mesa will be created on the basis of these questions. After our visit at High Tech High Mesa, students will use their Student Senate to continue these discussions, like other students around the country using Student Voice Chapters to work to implement authentic student voice channels. I’m excited to see what the students at High Tech High Mesa create to ensure their unique culture continues with the upcoming population growth!